It came back with a plug #10-30P 3 conductor on it, so now it won't fit our extension cord. We're trying to get it rectified with the repair shop, but time is getting short and I need this thing for next week. All I know is what I researched online, as far as plug numbers and specs. Can anyone share advice on how I can swap out the 3-prong end on the machine for the 4-prong end? Or just make a short adapter with the appropriate male/female ends. 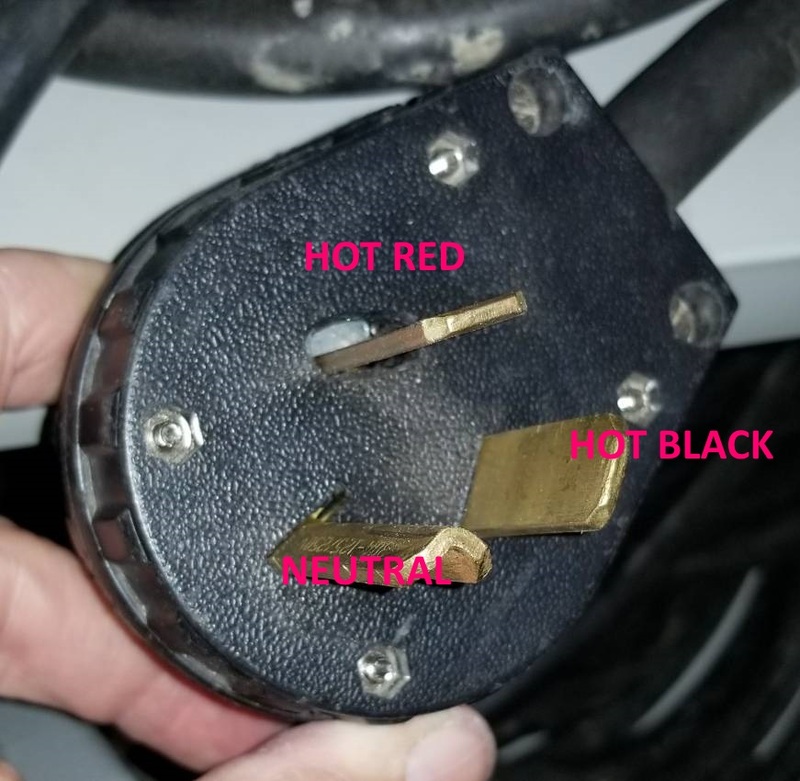 I'm assuming both have a L1 and L2 hot wire(s), but if there are only 3 wires coming out of the equipment, do I consider the third wire a neutral or a ground? Asking wackbag for help with wiring high voltage electronics. What could go wrong? 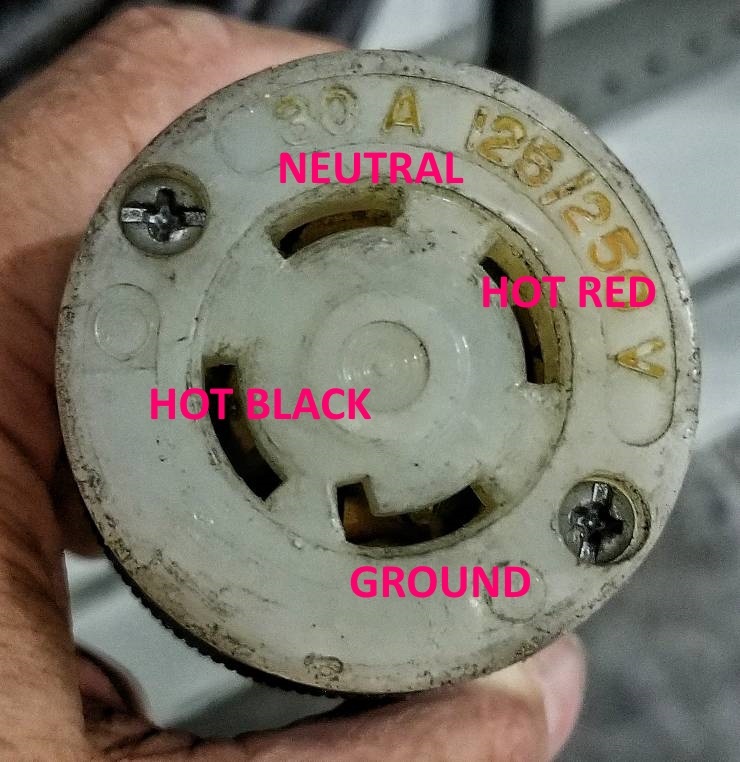 Neutral and ground are connected together at panel. 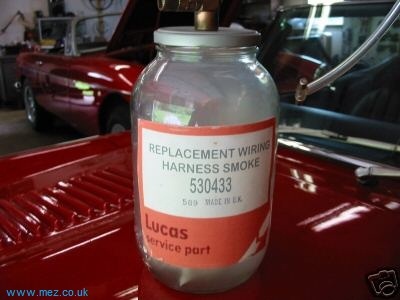 Guess it depend on what supply shops around you have available as far as making a temp jumper. Pretty sure in most cases you could get away with reversing red and black but there is some equipment that should stay with the appropriate color code for the two hots. On dryers you just pull out a jumper when installing a 4 wire cord/ plug. Should be the same deal I would think. Probably best bet is just replace the cord. The separating ground and neutral is a safety thing and that's why it has changed per code. Seems like the smarter way to go in a work situation. You should paint your hogchopper red and rename it Hot Red, because that's way cooler than Simply Blue. No. That sounds gayer than your man bun. Although "Simply Blue" does sound suspiciously like a gay 80's Flock of Seagulls type band. Does it taste like 220v or 480v? I'm having an electrical problem that may be simple, but since the gurus are here already, I'll tag on rather than making a new thread. I have a stairway with a switch at both ends. If the top switch is on, the bottom switch will turn it off, but if the bottom switch is off, the top switch won't turn it on. Is this a wiring issue or is it because the bottom switch is not the right kind of this application? Secondly, the light switch box at the bottom of the stairs has two separate switches wired to two different breaker circuits. (One controls the stair lights and one controls the adjoining room light) Is this odd and against code or is it normal? Never heard of that before. as far as the 2 breakers controlling circuits in 1 box not sure when that is or is not acceptable in the same box. Google a 3 way switch for a setup like stairs or hallways with switches at both ends. If it worked before one of the switches could be bad or worn out. Not sure about code on that second question. 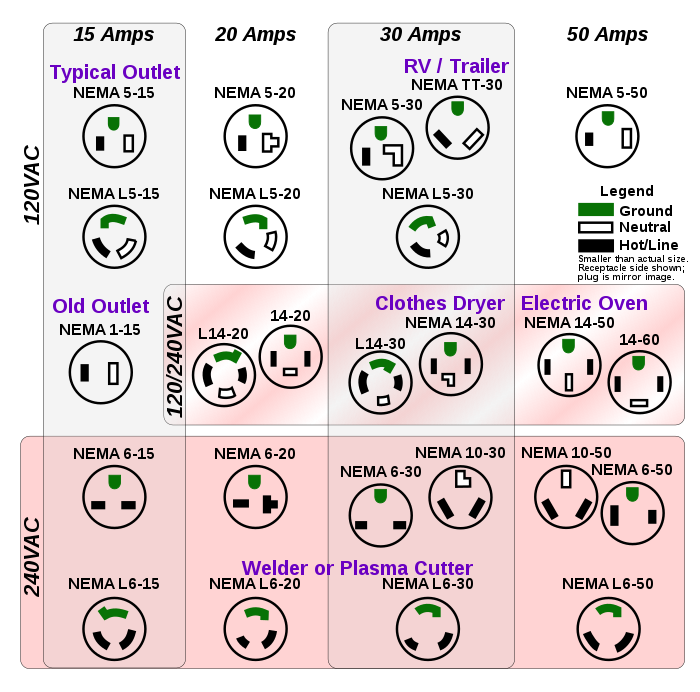 I know in commercial environments they label boxes that may have circuits from separate breakers so you know to shut off both. Makes sense code would have you label separate circuits inside a multi-gang box in a residence. 3 way switches are the work of the devil! Solution: purchase 2 new 3-way switches and covers and replace both for about $10. YouTube is your friend.